Broadband amplifiers are used to generate the high field strengths required by EMC radiated immunity testing standards. Although output power and frequency range are the two most important specifications used in selecting an EMC amplifier, the overall performance of an amplifier is often strongly affected by additional internal and external factors. This webinar focuses on the basics and intricacies of immunity testing, a technical overview of EMC amplifiers as well as a practical discussion of how amplifier class, compression points, VSWR, foldback, etc. impact amplifier performance in real-world scenarios. Anyone in EMC looking for a better understanding of the important design parameters of EMC amplifiers. 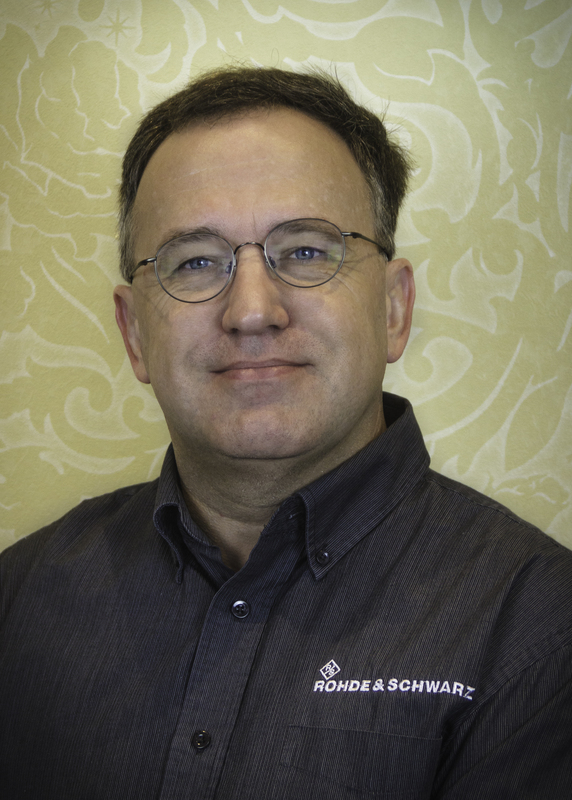 Paul Denisowski is an Application Engineer at Rohde & Schwarz, where he specializes in solutions for EMC and radio frequency interference issues. He has over 20 years of both lab and field experience in test and measurement and has authored numerous whitepapers and webinars on a wide variety of interference-related topics. Paul holds a Master’s degree in Electrical Engineering from North Carolina State University and was also a visiting lecturer at the Tokyo Institute of Technology.